Majestic Midnight is a truly a dream cat. He gets along well with other cats — even has a special buddy at the shelter he’d love to find a home with. He’s people-friendly too, and neutered, healthy, and up to date on his shots. And, what better way to celebrate National Hug a Cat Day than adopting your own huggable friend? 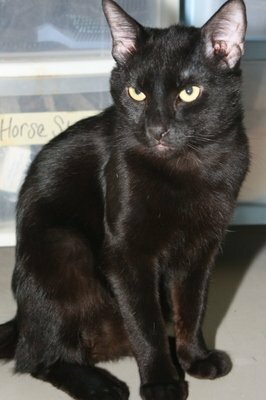 Midnight is available for adoption through the Owensboro Humane Society in Kentucky.